Following her appearance at SiriusXM, Chloe Moretz continued promoting 'The Miseducation of Cameron Post' at Watch What Happens Live, the SAG-AFTRA Foundation Conversations and the premiere in New York. On Monday(July 30th) night, for WWHL, she arrived wearing a CHRISTOPHER KANE PRE-FALL 2018 black crystal embellished, double breasted blazer dress, featuring peak lapels & patch pockets. While this is not a wow moment, she is wearing the dress. However I don't like the make-up and strappy or ankle strap sandals would have been ideal over her NICHOLAS KIRKWOOD pumps. On yesterday(July 31st), she was spotted heading into the SAG-AFTRA Foundation Conversations: 'The Miseducation of Cameron Post' at The Robin Williams Center. She stepped out in a plaid blazer with black lace panel dress underneath. The socks with sandals look is on trend and it is no surprise to see Chloe rocking it here. However I am not sold on this look. Later on that same day, she attended the premiere at The William Vale in Brooklyn wearing a LOROD PRE-FALL 2018 red two-piece suit which was teamed with a watermelon hue shirt. This look had potential but I find the suit too big on her. Also I wish the hair was off-the-shoulder and with such a bold hue, she should have gone with a softer eye. What I do like here, are the metallic boots which works with her look. 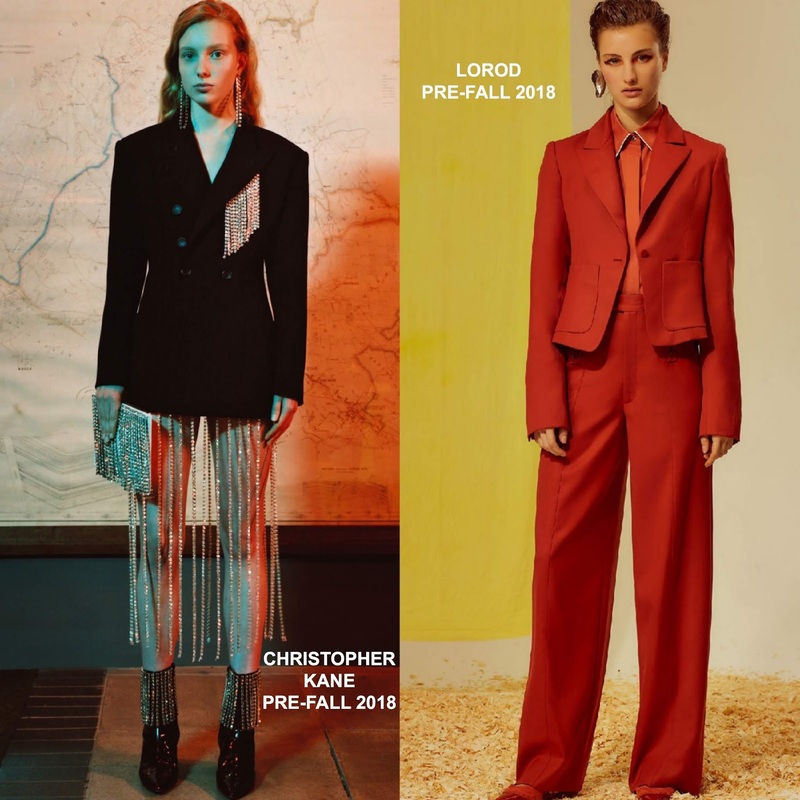 Are you sold on any of Chloe's looks?